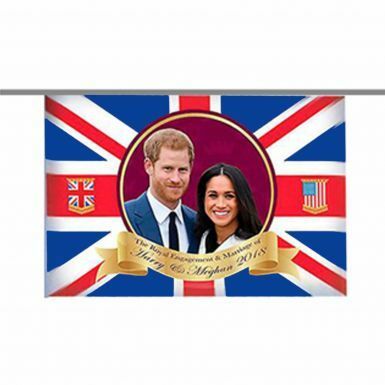 This giant 20ft Prince Harry & Meghan Royal Wedding bunting is ideal for the home, pub or street party and includes 10 flags which each measure 12inches x 18inches. Each flag is made from 100% rayon with a full colour print. 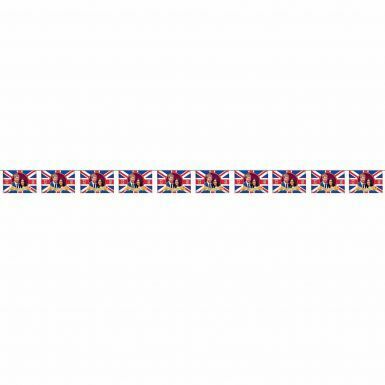 Includes 10 Flags Which Each Measure 12inches x 18inches.